Help for Seniors with Low Income: Government Benefits and More | Florida If we can’t save you money our service is FREE, Great programs, Great Savings, The RX Soutions can help save you money on medications needed. 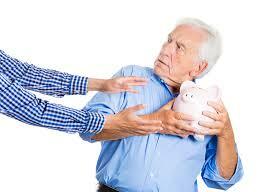 Caring for an aging loved one can test your budget as much as your patience and endurance. Fortunately, there are federal, state and even local government programs that can help you make ends meet, find and afford care for your loved one and even obtain respite care for yourself. There is more to Medicare than just Part A (hospital insurance) and Part B (medical insurance). If the person you are caring for is 65 or older and collecting Social Security, it is likely that they receive Medicare Part A for free and their Medicare Part B premiums are automatically deducted from the monthly benefits they receive from the Social Security Administration (SSA). Part D prescription drug coverage is subsidized by Medicare through payments to private insurance companies who then fund an average of 90 percent of the cost of prescription drugs. If your loved one is considered low income and has limited assets, they may qualify for a Medicare Savings Program. Depending on the program they are eligible for, Medicare may help pay for Part A and/or B premiums as well as coinsurance, deductibles, and copayments. Another program called Extra Help is also available to minimize costs associated with Part D (prescription drug) plan costs. These options may provide substantial cost savings. If your loved one’s Social Security benefits were earned through lower-paying jobs and these benefits are their only source of income, there may be a larger monthly benefit available from the SSA called Supplemental Security Income (SSI). The SSI program is operated by the federal government and provides seniors and blind or disabled individuals with monthly payments to supplement their income. SSI is a needs-based program, so applicants must meet certain income and asset requirements to be eligible. Qualification for SSI is usually used as an indicator that individuals also qualify for other needs-based programs and benefits, such as Medicaid and the Supplemental Nutrition Assistance Program (SNAP). The Health Insurance Portability and Accountability Act (HIPAA) of 1996 protects each person’s rights over their health care information. HIPAA sets rules for health care providers and health plans to regulate who can view and receive patients’ sensitive medical information. This law also prohibits family members from viewing one another’s medical records, which can seriously complicate the task of helping an aging loved one manage their health. Unless your loved one signs a HIPAA release form granting you permission to discuss their condition with physicians, you will be unable to access any information about their health. You can learn more about this law on the HIPAA website. To obtain HIPAA authorization forms, ask your loved one’s physician and file copies with every medical professional involved in their care to ensure you have access to crucial information. Every senator has a staff specialist on elder affairs, programs and services, who can both advise and advocate for benefits or services for you and your loved one. You can find contact information for both of your state’s senators using the U.S. Senate website. These are a few good places to start, if you need medication and find you just can’t afford them call us. We most likely can help.